Eastcape Midlands College....creating new futures. 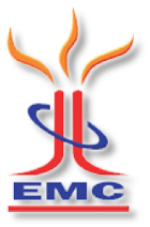 Eastcape Midlands College known as EMC came into being on 31 March 2002. Our mission is to pursue our vision by passionately responding to the needs of the country. We are committed to provide student support and services and endeavour to assist in job placement for our students. Eastcape Midlands College....creating new futures. Eastcape Midlands College known as EMC came into being on 31 March 2002. Our mission is to pursue our vision by passionately responding to the needs of the country. We are committed to provide student support and services and endeavour to assist in job placement for our students. Be a modern but relevant college who are informed by development challenges facing its communities. Be a centre of excellence characterised by competitive competences, capabilities and service orientation. This took place with the merger of Uitenhage Technical College, KwaNobuhle Technical College and the satellite campus of Bethelsdorp Technical College in Graaff- Reniet and was officially launched in October 2003. EMC believes in hands on training and equipping students with useful knowledge and skills that would ensure employment in the labour market. The college serves a highly industrialised urban area, part of the Nelson Mandela Metropole as well as the rural western part of the province.